Clothes don’t come cheap—help them last longer with these expert-approved tricks. Few things are as frustrating as pulling a recently-purchased shirt or pair of pants out of the wash and realizing they suddenly look years old. Daily wear and tear can quicken clothing aging, and there’s not much to be done about that—but there are ways to make sure laundry day isn’t making the problem worse. Suzanne Holmes, a manager of the Product Evaluation Laboratory at Cotton Incorporated (a research and promotion company for the U.S. cotton industry), has five easy laundry routine changes that can extend the lives of clothes—no special detergents, laundry hacks, or tools necessary. Everyone and their mother (literally) might be guilty of this laundry mistake: Glancing at that clothing tag that gives directions on how to wash clothes and then ignoring what it says come laundry day. 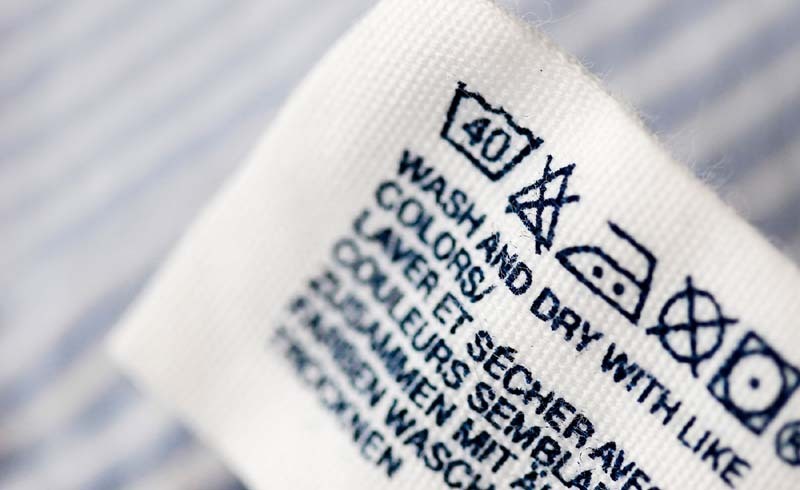 Holmes says carefully reading and deciphering those laundry tag symbols—and actually doing what they say, even if that does mean hand-washing a few items—can help keep clothes, especially nicer blouses or undergarments, look newer longer. The abrasion caused by washing clothes in a washing machine can produce lint, which can alter the colors on clothes’ exteriors. Flipping items inside-out before tossing them in the wash makes those exteriors less exposed, which means that lint-caused fading or color alteration is focused on the less-visible interiors of clothes. “I like to make sure all my buttons are buttoned and my zippers are zipped,” Holmes says. This keeps exposed edges from snagging other items in the wash and tearing holes in them. “If you have any stains, you want to pretreat those prior to laundering them,” Holmes says. Not pre-treating stains is a major laundry mistake that can make getting rid of stains incredibly difficult after-the-fact, not to mention hard on clothes. She recommends checking that the item is stain-free before sticking it in the dryer or putting it away. If the stain hasn't been completely removed, the clothing will need to be treated and washed again.